Relic Entertainment has a special celebration for the 5th anniversary of COH2. And what better way to celebrate it, than with a Company of Heroes 2 Giveaway? That's right, Relic is giving away the game for Free for all Steam users. This isn't a lame free weekend promo. Once you get the game, it will be in your library forever. Open the COH 2 game page on Steam's website, and click the Install Game button. Open the Steam client on your computer and search for "Company of Heroes 2". Click on the game's page and select "Install Game". You don't have to actually download the game right away. Once you click "Install Game", COH 2 will be added to your Steam Library forever. So, you can download and play it whenever you want to. 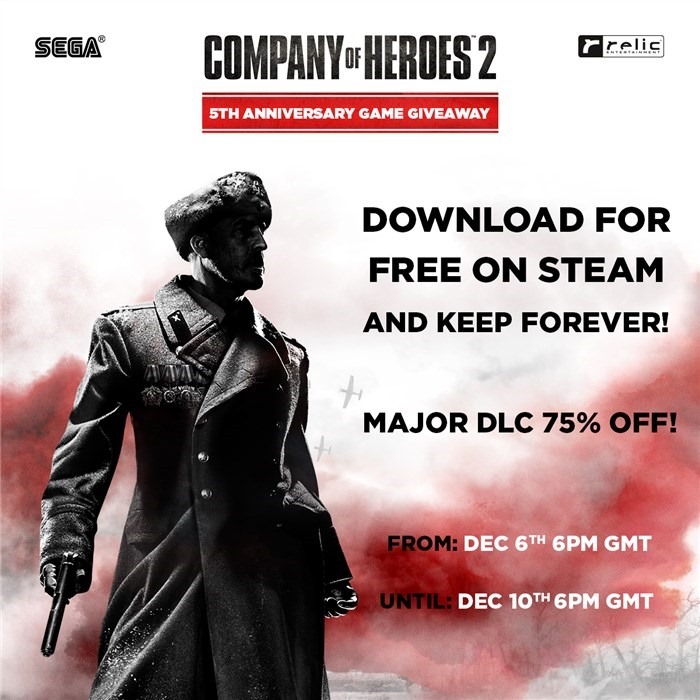 The Company of Heroes 2 Giveaway runs from December 6th to December 10th. Make sure to get the game before the promo ends. All of the game's DLCs are on sale, so if you want those for cheap you can buy them. But they aren't required to play the base game, which you get for free. In fact, we don't recommend any DLCs for singleplayer. 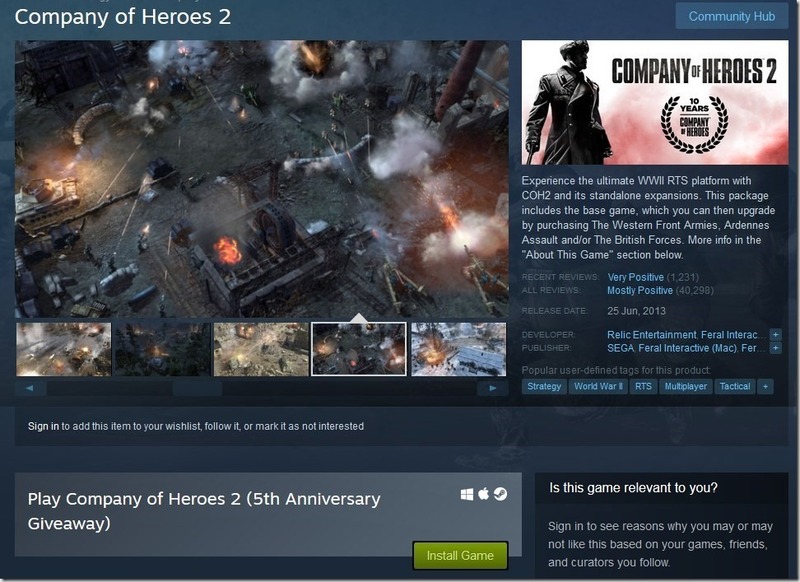 Is Company of Heroes 2 worth playing? Yes, the single-player campaign of COH 2 is quite good. It is by no means close to its predecessor, but it is not bad at all. The multi-player in COH 2 has some IAP nonsense, which you want to stay away from. While we are on the topic of RTS games, Relic Entertainment is supposed to be working on Age of Empires 4, but there has literally been no news about the game at all, since the announcement trailer which was released in August 2017.